Biennale of Sydney is looking for a Head of Marketing to manage the planning and delivery of the Biennale’s marketing and communication strategies. The Head of Marketing is responsible for the planning, execution and evaluation of all marketing and communication strategies for the Biennale. Excellent project management and organisational skills are required for the delivery of events, publications and a targeted marketing campaign that encompasses publicity, advertising, signage and digital. Outstanding negotiation, communication and people skills are essential, as is the ability to work closely and collaboratively with a wide range of stakeholders – from artists, venues, sponsors, benefactors and funders, to the Board and staff. Applications marked ‘Confidential’ and addressing the selection criteria must be received by 5 pm on Friday, 30 January 2015. Applications that do not address the selection criteria will not be considered. 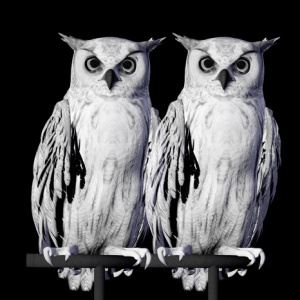 Image: Ann Lislegaard, Oracles, Owls… Some Animals Never Sleep , 2012–13 (video still). Courtesy Biennale of Sydney.